Do you suffer from asthma, bronchitis, COPD, lung cancer, emphysema or sleep apnea? There are ways to improve your breathing from experts. When drawing a breath is a challenge, the pulmonary, there is timely information, new research findings from specialists to help you cope with your condition. In this piece, you will discover exciting advances and the most useful, current information to help you prevent or treat conditions affecting your lungs. You also will learn how to prevent these diseases and, when symptoms arise, the best ways for you to work with your doctor to diagnose and treat them. 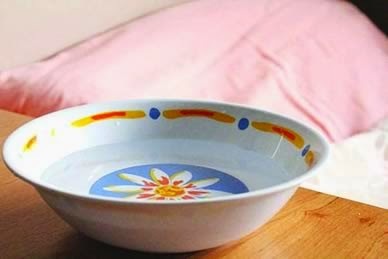 Use a humidifier in your bedroom, or place a pan of water by your bed. Purchase (zip-up) pillow cases that are designed to keep tiny dust mites and bed bugs from causing you problems. Keep lots of clean-air plants in your home. Breathe through your nose as nose hairs filter air and do so before it enters the body. Breathing through the mouth means that this filtration has to occur in the lungs. Vacuum daily: Using your vacuum cleaner daily will help rid your home of dust mites, and will help clean up pet dandruff and fur, if you have pets. You can try using a dust mask to keep your allergies from acting up and causing poor breathing. Wear a facial mask while using strong household cleaning products. These may cause breathing problems. Use antibacterial wipes on computer keyboards, door knobs, etc., especially if you have a sick family member; colds can lead to serious problems. Spray perfume below the face and neck area, as far away from your face as you can get. Watch out for people that are burning things in the neighbourhood that may possibly contain some type of dangerous chemical; just the smoke alone isn’t good for you. Keeping your car tuned up; this will help to keep you breathing right. This story was published in Daily Newswatch on May 25, 2013. Why are pregnancy-related health complications and deaths on the increase? Pregnancy is not a disease but privileged function entrusted to women. However it has become such a great battle that many have lost their lives in the struggle. Following the rise on the incidence of pregnancy-related health complications and deaths, Prof Mahmoud Fathalla commended the English term used to describe what women do to give birth to a child as ‘labour.’ Unfortunately this is ‘labour that has never been unionized’ and has therefore suffered neglect. Many still remember with sadness the plane crash of last year, in which more than 130 people died. If any country has a plane crash which kills 145 passengers daily, which is an equivalent of the estimated daily maternal deaths in Nigeria, there would be serious crisis. It is safe to assume that about 17,400 Nigerian women have died due to pregnancy- related issues this year, from January to April. This is because 145 women die daily due to pregnancy-related reasons in the country. In addition, for every woman who dies, approximately 20 more experience infection, injuries or disability. Maternal death is the death of a woman during pregnancy or within 42 days of termination of pregnancy, due to reasons related to pregnancy or its management. This is irrespective of the duration of the pregnancy. Late maternal death is the death of a woman due to direct or indirect obstetric causes, more than 42 days, but less than one year after termination of pregnancy. Despite being caused by pregnancy-related events, these deaths do not count as maternal deaths in routine civil registration systems. Assess maternal death situation in the country? Nigeria is home to one out of five Africans, with its population of over 160 million that is estimated to be one per cent of the global population. The country however, accounts for a disproportionate 10 per cent of global maternal deaths. Nigeria presently has one of the highest maternal mortality rates in the developing world – accounting for the second highest global burden of maternal deaths in the world next to India. The last National Demographic and Health Survey in 2008 placed the national Maternal mortality Rate at 545 per 100,000 live births ,this is unacceptably high when compared to 350/100,000 and 400/100,000 in Ghana and Benin Republic respectively over the same period of time. 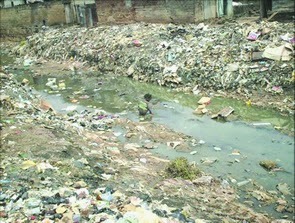 This is even as the February 2009 UNICEF report, showed that the figures were under-estimated. The report stirred the hornet’s nest when it updated its earlier estimation of the incidence of maternal mortality in Nigeria from 800 per 100, 000 to 1,100 per 100,000 live births, an indication that the strategies to address the situation were not yielding anticipated results. This created uproar in government circles that warranted the then minister of information and communication issuing a political statement to refute the information. What is the prenatal mortality situation in the country? Prenatal mortality tends to follow the same geographical pattern as maternal mortality. 3.3 million still-births occur yearly, while over four million newborns die during the first 28 days of life, even as three million dies during the first seven days. In developing countries, about one third of these deaths are related to prenatal complications responsible for birth asphyxia. Assess efforts to address maternal and infant mortality problems in the country? Many acronyms representing programmes have been designed to address maternal and infant mortality issues since the past 20 years in the country. These include: SMI (Safe Motherhood Initiative), MPS (Making Pregnancy Safer), LSS (Life Saving Skills), IMNCH (Integrated Maternal, Newborn and Child health) and MSS (Midwife Service Scheme). Others are: EOC (Essential Obstetric Care), EMOC (Emergency Obstetric Care), IMCI (Integrated Management of Childhood Illness) and MDGs (Millennium Development goals). Huge funds have been directed to execute these programmes which are so many that even those who coined them can be forgiven if they forget their meanings. Give the data of maternal and infant mortality rates in the country? Published maternal mortality rates in the country have been particularly diverse and sometimes contradictory depending on their sources. For instance, it was 800/100, 00 based on the Federal Ministry of Health (FMOH) 2000 survey; the figure was high as 3,000/100,000 according to Society of Gynaecologists and Obstetricians of Nigeria (SOGON) 2004, while the National Demographics Health Survey (NDHS) 2008 gave the figure as 545/100,000. The Lagos State Survey 2010 showed 555/100,000 at the state level; in Alimosho LGA- 826/100,000 and Ibeju- Lekki LGA- 758/100,000. The Lagos State Survey 2010 further showed the following figures: Ikorodu – 754/100,000; Ikeja -354/100,000; Surulere- 332/100,000; Lagos Island- 310/100,000 and Lagos Island- 310/100,000. According to another statistics: “Woman’s chance of dying from pregnancy and childbirth in Nigeria is one in 13 compared to one in 1750 (developed countries), one in 870 (East Asia), one in 90 (Latin America), one in 24 (Africa).” There is also a wide disparity in the burden of maternal death across the country: for instance, the north-eastern zone of the country having almost ten times the number of deaths that occur in the south-western zone. How can the problem of maternal and infant mortality be addressed? Identify major causes of maternal mortality in the country? The major causes are haemorrhage, infection, hypertensive disorders of pregnancy, obstructed labour and anaemia. It is important to state that utilising available know how as at today will render most of the deaths preventable. Maternal death is however is a consequence of three levels of delay , including: Delay in seeking health care, delay in accessing health care and delay in receiving help at the health centre. Any effort to drastically reduce maternal mortality rates must address the root causes of these delays. The World Health Organisation (WHO) published 10 facts on child health which include; “A child’s risk of dying is highest in the first month of life. Three million children die every year within a month of their birth Pneumonia is the largest single cause of death in children under five years of age. The WHO report further stated; “diarrhoeal diseases are a leading cause of sickness and death among children in developing countries Every 45 seconds a child dies from malaria in Africa. “Over 90 per cent of children with HIV are infected through mother-to-child transmission. About 20 million children worldwide suffer from severe acute malnutrition. Three-quarters of child deaths occur in Africa and South-East Asia, the report said. Two-thirds of child deaths can be prevented through increased investment, according to WHO. In this regard, the Lagos State Government established the maternal and child mortality reduction programme, to address the situation. 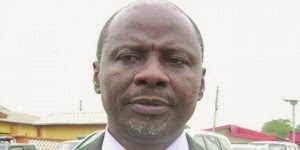 Assess maternal and child mortality reduction programme in Lagos state? The Lagos State Maternal and Child Mortality Reduction Programme Advisory Committee was established by the Ministry of Health in year 2008 to map out strategies and activities for the reduction of the unacceptably high maternal and child mortality rate in the state. 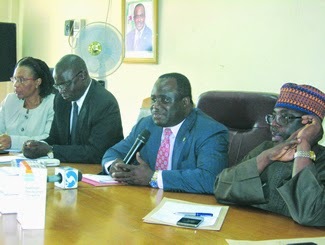 It is made up of relevant stakeholders drawn from Society of Gynaecologists and Obstetricians of Nigeria (SOGON), Paediatrics Association of Nigeria, Lagos State University Teaching Hospital (LASUTH), Association of Private Medical Practitioners of Nigeria (AGPMPN), Lagos State Board of Traditional Medicine Board (LSTMB), Lagos State Primary Health Care Board (co-opted after board inauguration in February 2009), Local Government Service Commission, Ministry of Local Government and Chieftaincy Affairs, Ministry of Women Affairs and Poverty Alleviation and officials in the Ministry of Health. The committee developed a five year work-plan for the implementation of activities aimed at accelerating attainment of the Millennium Development Goals 4 and 5. The work-plan was designed to improve the health seeking behaviour of women and children and also improve the quality of health services rendered. The work-plan was marked with the launch of the maternal and child mortality reduction programme, by Governor Babatunde Raji Fashola on Thursday October 18, 2012. This date was named the Maternal and Child Mortality Reduction Programme Day by the Governor, during which the state and respective LGAs/LCDAs gives report of all programmes aimed at improving the health of mothers, pregnant women and children. The District Town Hall meetings are designed to ensure that key messages get to the grass roots where the maternal and child health interventions are needed most. A major focus is public enlightenment/sensitization and community mobilization. In this regard, series of town hall meetings are being planned on a Senatorial District basis. The first town hall meeting took place in Lagos west 1 Senatorial District on March 21, 2013 at Oshodi-Isolo LGA. LGAs/LCDA within the District include Mushin, Alimosho, Ifako-Ijaiye, Ikeja and Oshodi-Isolo) and the corresponding LCDAs. This story was published in Daily Newswatch on May 23, 2013. Although the heating process involved in canning does partially destroy some vitamins and other essential nutrients found in fresh produce, canned produce is still good for you. Very few of us pick, prepare and consume our produce at peak freshness — when it’s the most nutritious. Fresh fruits and vegetables are harvested before they are ripe, trucked long distances and stored before they make it to your produce section. As they age further in your grocery store or refrigerator, they lose additional nutritional value. Canned produce, in contrast, is packed and sealed at the peak of freshness, which helps prevent further nutrient loss associated with the canning process. In fact, canned whole tomatoes, tomato paste and jarred pasta sauce contain more lycopene than fresh tomatoes. And compared with fresh corn and carrots, the canned varieties have more antioxidants, which may help prevent a number of diseases including cancer and heart disease. Beware of sugary syrup and salt. 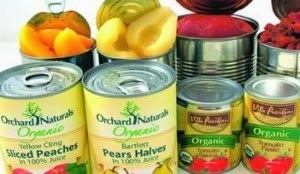 However, canned vegetables tend to be high in sodium, and canned fruits are often packed in sugary syrup. Look for fruit packed in natural fruit juice, and be sure to consume only canned vegetables that are advertised as low in sodium. Also, rinse canned foods before preparing them. Finally, if you prefer canned produce to fresh produce because it keeps longer, try frozen fruits and vegetables, which are also packaged at the peak of freshness but don’t have the extra ingredients associated with canning. Health Alert: A diet abundant in nutrient-rich foods can be a powerful tool in preventing disease. Maintaining a healthy weight through a combination of diet and exercise is known to lower the risk of high cholesterol, high blood pressure, diabetes, osteoporosis, arthritis and many kinds of cancer. There are fears that 250,000 children each year may be paralysed or die as a result of polio, if the global effort to eradicate the disease fails. At the Global Vaccine Summit penultimate week, the Global Polio Eradication Initiative (GPEI) presented a comprehensive six-year plan to eradicate polio. The first plan is to eradicate all types of polio disease – both wild poliovirus and vaccine-derived cases – simultaneously. Global leaders and individual philanthropists signaled their confidence in the plan by pledging three-quarters of the plan’s projected US$ 5.5 billion cost over six years. They also called upon additional donors to commit up front the additional US$1.5 billion needed to ensure eradication. The new plan capitalizes on the best opportunity to eradicate polio, with the number of children paralyzed by this disease at their lowest level ever (223 in 2012and 19 so far this year). The urgency is linked to the tremendous advances made in 2012 and the narrow window of opportunity to seize on that progress and stop all poliovirus transmission before polio-free countries become re-infected. “After millennia battling polio, this plan puts us within sight of the endgame. We have new knowledge about the polioviruses, new technologies and new tactics to reach the most vulnerable communities. The extensive experience, infrastructure and knowledge gained from ending polio can help us reach all children and all communities with essential health services,” said World Health Organization Director-General Margaret Chan. However, there are fears that Nigeria may not meet this target based on the response to the on-going Immunization Pulse Days (IPD) which began Saturday, and ends today. While monitoring the exercise, Daily Newswatch, found out that there are existing gaps in the formula for success which is to immunize more children more consistently and to protect polio-free areas in the high risk states, local governments and villages in the upcoming critical rounds before the rainy season. The major challenges facing the programme is the re-appearance of well-organized anti-immunization propaganda which requires a coherent and effective response and the recent upsurge in security incidents in key states, especially Borno and Kano, that have delayed activities and hampered access to high risk areas. Corroborating earlier views, Didi, commended progress made so far in the fight against polio, adding that the Association has launched a massive push to support efforts for ensuring that no child is missed in the Immunization Pulse Days (IPD) which began Saturday, and ends today, in 15 high risk northern States. Since the beginning of this year, 16 children below the age of five contracted Wild Polio Virus (WPV) in eight States in northern Nigeria compared to 40 cases that were detected in 10 States for the same period in 2012. The decrease in number of infected children and the concentration of cases in fewer states as compared to last year is seen as an opportunity for Nigeria, the only polio endemic country in Africa, to curb the scourge of polio. Experts say that the rainy season provides the best environment for the virus to circulate and if all eligible children in the most affected areas of the country are vaccinated with the WPV vaccine in the next few rounds then the country stands a good chance in curtailing the transmission of the polio virus. The Polio Survivors Association has been actively participating in the efforts to sensitise people about the failure to vaccinate children against the polio virus by going out during rounds and speaking to some sections of the society that are against polio vaccination. The recipe for success is to immunize more children more consistently and to protect polio-free areas quality gaps in the high risk states, local governments and villages must be closed in the upcoming critical rounds before the rainy season. The key challenges facing the programme is the re-appearance of well-organized anti-immunization propaganda requires a coherent and effective response and the recent upsurge in security incidents in key states, especially Borno and Kano, that have delayed activities and hampered access to high risk areas. The Polio Eradication and Endgame Strategic Plan 2013 to 2018 was developed by the GPEI in extensive consultation with a broad range of stakeholders. The plan incorporates the lessons learnt from India’s success becoming polio free (no cases since January 2011) and cutting-edge knowledge about the risk of circulating vaccine-derived polioviruses. It also complements the tailored Emergency Action Plans being implemented since last year in the remaining polio-endemic countries – Afghanistan, Pakistan and Nigeria – including approaches in place to vaccinate children in insecure areas. Though President Goodluck Jonathan’s administration made a commitment to eradicate the wild polio virus in the country by September, there are still records of fresh cases of the diseases, especially in the Northern part of the country. This story was published in Daily Newswatch on May 15, 2013. 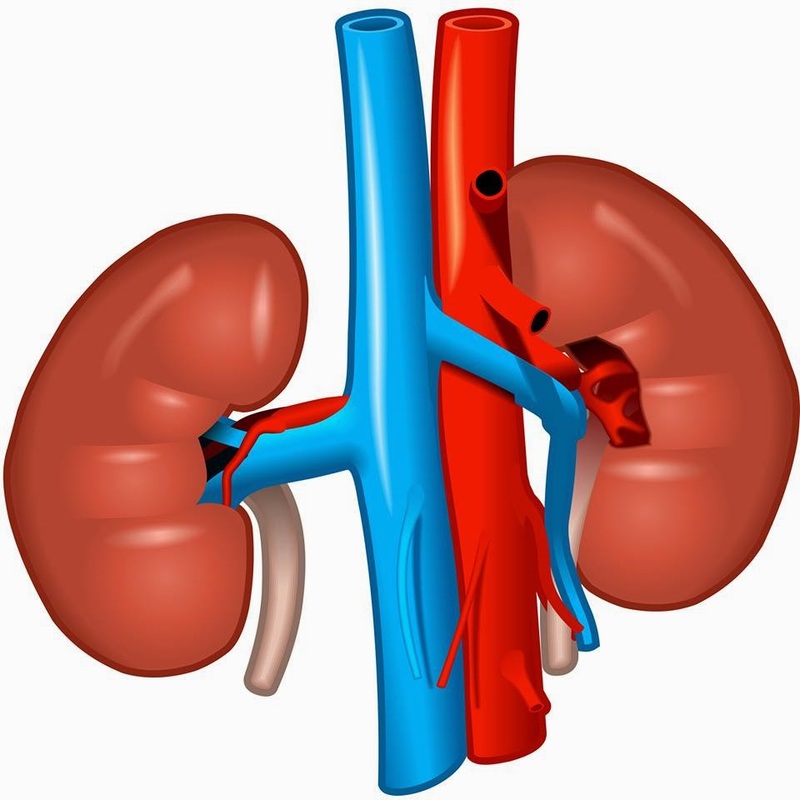 Kidney Foundation for Africa (KFA), a non-governmental organisation has announced plans to build a kidney hospital in Nigeria, to provide affordable care services to patients with kidney problems and save billions of dollars lost in procuring such services outside the country. Speaking during a press briefing organised Wednesday, to mark this year’s World’s Kidney Day, Executive Director, Kidney Foundation for Africa, (KFA) Clinton Peters, said that the hospital will render healthcare services in a cost effective manner. Peters stressed on the need for early detection. “Early diagnosis and immediate nephrology referral are key steps in management because it enables predialysis education, allow implementation of preventive measures that delay or even halt progression of Chronic Kidney Diseases (CKD) to end stage renal disease, as well as decrease initial morbidity and mortality,” Peters said. Chronic kidney disease sometimes results from primary diseases of the kidneys themselves, but the major causes are diabetes and high blood pressure, Peters said, adding that this is why KFA is partnering with Pfizer and other organisations to nip it from the bud. He further said that the aim of KFA is to raise awareness of the importance of the kidney to the overall health and to reduce the frequency and impact of kidney disease and its associated health problems across the country. Prof. Manoj R. Gumber of the institute of Kidney Diseases and Research Centre, Ahmedabad, India who visited Nigeria as a guest of the public lecture to mark the World Kidney’s Day by KFA also emphasized on the need for early detection. 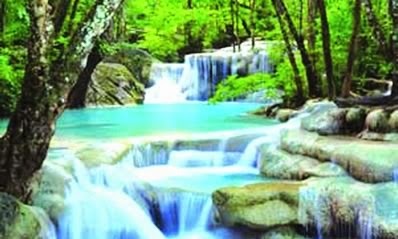 Gumber who is also a Professor of Nephrology, said that it is cheaper to prevent kidney disease than to treat it and advocated for a healthy lifestyle noting that the diseases is a silent killer. The Professor of Nephrology of listed the effects and symptoms of chronic kidney disease to include: need to urinate frequently, especially at night (nocturia); swelling of the legs and puffiness around the eyes (fluid retention); high blood pressure and fatigue and weakness (from anemia or accumulation of waste products in the body). Others are loss of appetite, nausea and vomiting; itching, easy bruising, and pale skin (from anemia); shortness of breath from fluid accumulation in the lungs; headaches, numbness in the feet or hands (peripheral neuropathy), disturbed sleep, altered mental status (encephalopathy from the accumulation of waste products or uremic poisons), and restless legs syndrome. The rest are; chest pain due to pericarditis (inflammation around the heart); bleeding (due to poor blood clotting); bone pain and fractures and decreased sexual interest and erectile dysfunction. He said that one can seek medical care on the notice of any of the following symptoms: change in energy level or strength; increased water retention (puffiness or swelling) in the legs, around the eyes, or in other parts of the body; shortness of breath or change from normal breathing; nausea or vomiting; bone or joint pain; easy bruising or itching. Founder of KFA, Dr. Bose Peters, a kidney patient survivor narrated her plight and appealed to well-meaning Nigerians, government, public and private individuals to support KFA to save lives of indigent kidney patients who cannot afford to travel abroad to obtain required health care services to ameliorate their condition. Director of Communication and Public Affairs, Pfizer, Mrs Margaret Olele, also noted that Pfizer is partnering with KFA as part of the company’s commitment to her social responsibility in supporting health care services in the area of cardiovascular services. The World kidney Day is marked every year in 154 countries for the purpose of creating awareness and educating the public on the public on the causes, prevention and cure for CKD which has become rampant all over the world, including Nigeria. Lagos state government is worried that despite the existing facilities and services, the State still contributes significantly to the unacceptably high national maternal deaths and the national burden of HIV, due to low utilisation of PMTCT and Family Planning (FP) services. The State is one of the 12+1 States which accounts for 70 percent of the Mother-to-Child Transmission of HIV burden in Nigeria with its HIV prevalence of 5.1 percent based on the 2010 National HIV Sero – Prevalence Sentinel Survey and its vast population of 21,883,048, according to the Lagos State Bureau of Statistics. In view of this, government is set for another round of campaign to accelerate the elimination of mother-to-child transmission (MTCT) of HIV and maternal death reduction in the state. The goal is to catalyse high level support for the elimination of mother-to-child transmission of HIV and maternal deaths through the mobilisation of strategic stakeholders, including women of influence, to improve the demand for quality Prevention of Mother-to-Child Transmission (PMTCT) and to encourage healthy timing and spacing of pregnancies. 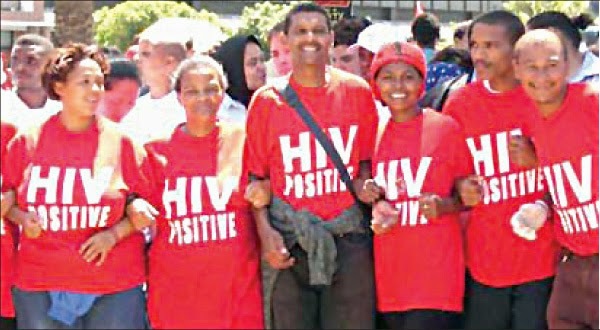 A rally to mark HIV/Aids Day, recently. The State is working in collaboration with United Nations Population Fund (UNFPA), United Nations Joint Programme on HIV and AIDS (UNAIDS), United Nations Children’s Fund (UNICEF), as well as other relevant stakeholders to achieve this goal. According to a statement by the Lagos State Ministry of Health, the campaign will enable infected pregnant mothers to have increased access to services to prevent their babies from being infected, as well as to encourage more families to embrace family planning practices. Part of the strategy is to unveil Wife of the Governor, Dame (Mrs) Abimbola Fashola, as the face of Prevention of Mother-to-Child Transmission (PMTCT)/Maternal Health in the State. The strategy will also provide an update on progress towards elimination of Mother-to-Child Transmission (MTCT) of HIV in the State in the light of the global plan targets highlighting achievements and gaps. It is also expected to stimulate commitment of critical stakeholders and provide vital information on PMTCT and a directory of functional PMTCT sites in the State. The statement stated that UNAIDS is committed to revolutionizing HIV prevention policies and practices that will ignite policy makers, opinion leaders and community gate keepers to focus on populations and programmes that will make a difference in getting to zero new infections. One of such programmes is the elimination of vertical transmission of HIV and the reduction of AIDS-related maternal death by half in 2015. This mandate is clearly in line with that of UNAIDS zero AIDS related deaths and UNFPA: delivering a world where every birth is safe and where every woman is treated with dignity/respect. 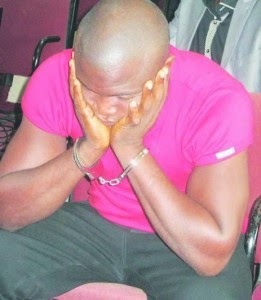 According to the 2012 projected population figures for Lagos State, there were 1,060,225 pregnant women in that year. At an HIV prevalence of 5.1 percent, about 54,071 pregnant women are infected with the virus and approximately one-third of whom would, in the absence of any interventions to prevent mother-to-child transmission of HIV, pass the virus to their babies. This translates to 16,468 preventable HIV infections among infants in the State during that year alone. The Lagos State maternal mortality ratio of 555/100,000 life-birth is higher than the national figure of 545/100,000 life birth. This statistics clearly negates UNFPA’s mandate of a world where every birth is safe and every child is born free of HIV. It is against this background that UNAIDS, UNFPA and UNICEF are supporting the Lagos State Government to convene this high-level meeting of women decision-makers in the State and other critical stakeholders to identify their roles in the elimination of mother-to-child transmission of HIV and maternal deaths. This story was published in Daily Newswatch on October 16, 2014. Every year, over 150, 000 children do not see their fifth birthday due to diarrheal diseases caused by unsafe water, sanitation and hygiene practices, a new study by U-Report confirmed. 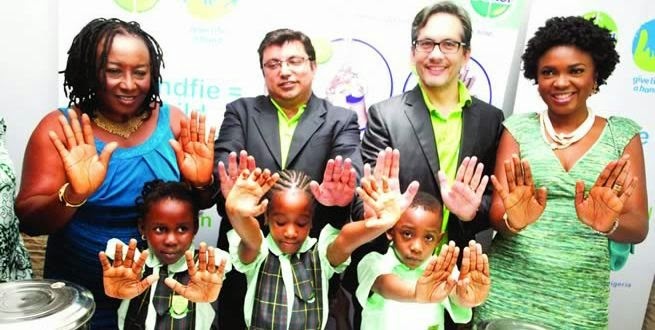 Experts have said that the trend is worrisome as simple handwashing with soap has been found to be one of the cheapest, simplest and most effective means of preventing diarrhoea and pneumonia, the leading causes of Nigerian child’s death. L-R: Nollywood Actress and Brand Ambassador, Dettol, Patience Ozokwor (Mama Gee), General Manager, West Africa, Reckitt Benckiser, Rahul Murgai; Marketing Director, West Africa, Reckitt Benckiser, Oguzhan Silivrili, Nollywood Actress and producer with students of Royal Master’s Schools, Ikeja at the Media Parley unveiling the Dettol ‘Give Life A Hand’ Campaign in commemoration of Global Handwashing Day 2014. “Every year over 150,000 children die from diarrhoea alone, largely caused by unsafe water, sanitation and hygiene practices. Hand washing with soap is one of the cheapest, simplest and most effective means of preventing diarrhoea and pneumonia, the leading causes of child deaths in Nigeria. As the Ebola response takes its toll on the health services in the affected countries, the practice of hand washing is even more important in warding off these common diseases,” the U-Report said. According to experts, this year’s Global Hand washing Day, being the seventh edition further underscores the importance of hand washing with soap in disease prevention and spread, in view of the current global fight against Ebola virus disease (EVD). A report on Tuesday, by UNICEF noted that hand washing with soap has been an important tool, an additional line of defence in the fight against the spread of EVD. “In the fight against the spread of Ebola Virus Disease, hand washing with soap has been an important tool, an additional line of defence,” the report said. This year’s theme “Choose hand washing, Choose Health” is apt given that hand washing with soap not only protects the individual, but also protects his/her family against the infections and prevents the spread of disease outbreaks, the UNICEF report said. Everyone can choose to wash hands with soap after using toilet and before eating/preparing food and thereby protect themselves and their families, it added. Global Hand washing Day a reminder that the simple practice saves lives. In Nigeria, more than 10 million people will be reached with hand washing messages through various activities planned for this year’s commemoration of Global hand washing Day, the UNICEF report said. 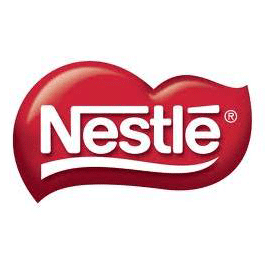 It added: “There will be nationwide hand washing promotion through high profile hand washing demonstrations in schools and communities, mass rallies, road shows, airing of jingles on radio and television. Also, dissemination of hand washing messages on U-Report, Facebook and Twitter have been planned for creating massive awareness on hand washing with soap in the country, the report said. UNICEF has been supporting the governments in raising awareness about Ebola in Nigeria as well as in other affected countries, working to counter misconceptions about the disease that put even more people at risk. ‘Nigeria has done well so far to contain the spread of Ebola’, said Jean Gough, UNICEF Representative in Nigeria. 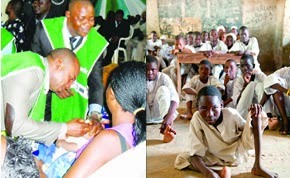 “What Nigeria needs now is sustained promotion of hand washing. Let’s pledge to make hand washing with soap a national habit and reduce the number of Nigerian children who die from diarrhoea annually’, she added.